Great in a bathroom, this arch top wall mirror makes a sophisticated statement. Open up a bathroom or hallway with the classic lines from this stunning arch top wall mirror by Uttermost. Revel in the richness of aged dark bronze featuring copper undertones and dress up modern and classic rooms with the softness of a light gray glaze on beveled glass. Install vertically using the two-hole D-ring hangers with adjustable J-hooks and enjoy the romantic aura emitted from the curved silhouette. 30" wide x 46" high x 1 1/2" deep. Hang weight is 31 lbs. Glass only section is 26" wide x 42" high. Beveled edge is 1 1/4" wide. 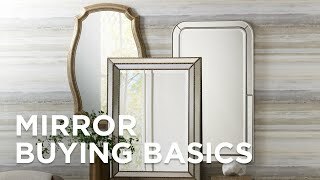 Arch top wall mirror from Uttermost Rada Mirror collection. Vertical installation only. Two-hole D-ring hangers with adjustable J-hooks. Hammered metal aged dark bronze finish with copper undertones and a light gray glaze. Solid java wood, metal and MDF construction. Beveled glass.